When you’re taking the kids out into the wilderness or just out for a day hike in your favorite canyon, you want to make sure they can always contact you. Likewise, if you and your crew are crushing a trail on your bikes or scaling up a rock face, an open communication channel is important. The Motorola Talkabout T100TP six pack is a simple, compact radio with just enough features to stay in contact anywhere you go. 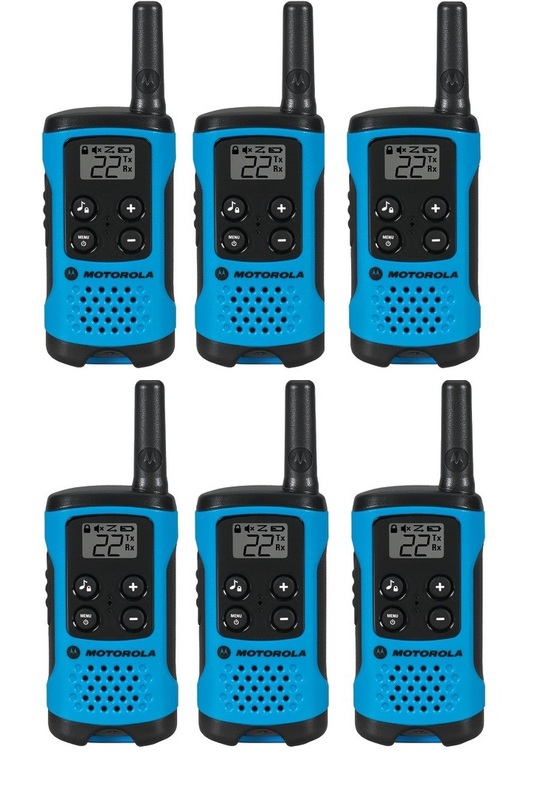 If you have any questions about the Motorola Talkabout T100TP Walkie Talkie Six Pack Set, please don’t hesitate to contact us. All questions/comments are routed to our customer support team , so you WILL receive a prompt response!